Necessity is the mother of invention, and few recent technological advances exemplify this adage more than the dash cam. Hit & runs, fake insurance claims, and murky traffic situations all require the same thing to be resolved in your favor – a reliable witness. What could be more reliable than having a video of the event shot directly from your car in FullHD? While you could spend hundreds of dollars on dash cams with built-in GPS and other fancy features, more affordable ones are nothing to scoff at. Even the cheapest among them sport 1080p along with wide-angle lenses and decent night vision. Their footage is more than enough to bring careless drivers and scammers to justice. The entry-level dash cam market is full of hastily put-together models whose manufacturers want to make a quick buck off the popularity dash cams enjoy. Still, there are a few diamonds in the rough, and we’re featuring the best of them in this review. There’s a dash camera out there for your needs for under $100. Affordable, long power cable, and useful app. Has two capable cameras and comes with 32GB SD card. High top resolution, voice-activated, and useful app. A momentary distraction is all it takes to turn a pleasant road trip into a fatal disaster. 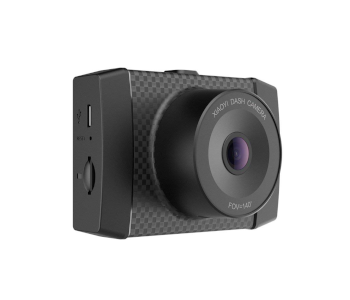 Yi’s Ultra dash cam makes sure that that moment doesn’t happen while you’re fiddling with it as the camera can be voice-controlled. It also features 2.7K resolution, includes a 16GB SD card, and it has app support. 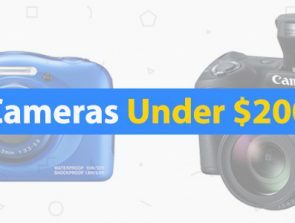 You get all of this for less than $100, which shows just how far along dash cameras have come. 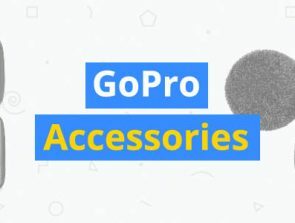 Yi is a well known brand who is bringing their experience with GoPro style action cams to the dash camera marketplace. You can have confidence that you are getting a well-engineered product. The Yi Ultra comes with a portable suction mount, but you also get an adhesive version if you’re looking to maximize stability. It connects to your car’s cigarette lighter via a USB adapter which has an additional slot for your phone or satellite navigation. Once it’s secure, the camera can be used as is or paired with your phone over Wi-Fi. Footage is recorded in crystal-clear detail at a respectable resolution of 2.7K (2688 x 1520) with a framerate of 30fps. You can opt for a lower resolution to save space on the SD card or get smoother video as 1080p supports 60fps too. This can prove to be useful if an accident happens and a frame-by-frame analysis is necessary. The camera has a decent dynamic range so footage shot during an overcast day or when you’re exiting a tunnel is still detailed. There are three ways of controlling the Ultra. The most comprehensive one is by looking at its 2.7-inch screen and navigating its icon-based interface. The controls are elementary and include resolution & brightness adjustment, G-sensor sensitivity settings, audio toggling, and setting up the screen’s shut-off timer. Voice controls are more basic still as they only let you start and stop a recording or take a picture. Even so, this method is responsive and the fastest way to ensure that the camera is recording even if there wasn’t an incident which would trigger the G-sensor. Plus, any footage that was recorded via voice command is automatically given priority status and will not be erased once the SD card runs out of room. Lastly, there’s the app. With it, you have access to a live feed of the camera which you can share with others, an activity log complete with clips, and the ability to take snapshots that are saved to your phone. Videos can’t be recorded in the same way though. You can’t use an inserted SD card to its fullest. The camera automatically creates a partition reserved for emergency recording that takes up a third of the space which becomes inaccessible. The highest resolution works with a lower refresh rate. This isn’t evident during the daytime but may cause a strobe effect from street lights at night which can have a negative impact on the recording’s clarity. Dash cameras are crucial for gathering evidence when there’s a frontal collision but they can’t help corroborate your story if you were rear-ended. Dual dash cams exist, but they usually cost a premium since they pack twice the recording equipment. 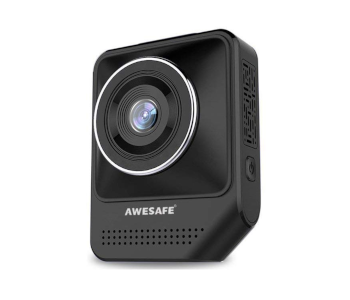 Not so with the Awesafe dual dash cam! This compact and inexpensive camera monitors the road both in front and behind you. It even comes with a 32GB SD card which makes this purchase more worthwhile. Even though the camera has two lenses, it is hardly larger than other entries on the list, meaning that installing and positioning it is straightforward. You get a very long power cable which can go over the rearview mirror and sunshade and reach the cigarette lighter without impacting your overview. There’s also a built-in battery for emergencies. The front camera has a 170-degree field of view while the back one is narrower by 50 degrees. Both cameras record simultaneously and each of their clips are saved separately. The image quality of the front camera is decent. The other lags slightly behind, but the activities of your passengers and what’s going on behind the car can still be made out clearly. Daytime driving regardless of weather is captured with enough detail for license plate identification. You navigate the dash cam’s menus with four buttons located to the left of the rear camera. The screen has four views which show either the front or back camera only, or a full-screen version of one with the other taking up a smaller window inside of it. Adjustments include shifting from 1080p to 720p, inserting the time & date into recordings, toggling the screen saver on & off, and more. You only get one suction mount which is prone to breaking if handled forcefully. The camera has motion sensors, but they do not react to most movement even on the highest setting, forcing you to keep recording continuously and drain the car battery. Is the Yi Ultra still a bit out of your price range? 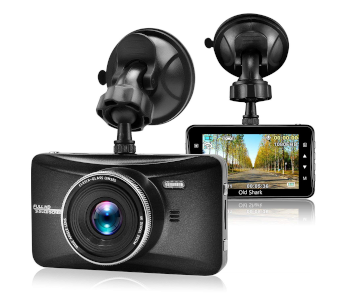 If you want a well-rounded dash cam that’s even less expensive, consider getting this model by OldShark. Everything that makes up a good budget-friendly camera is present – crisp day & night video, a large LCD screen, and even a 32GB SD card. If a second camera isn’t important to you, this model is the one to get when it comes to price vs. performance. This camera is among the biggest on our list because of its 3-inch screen. While this makes it more conspicuous than smaller models, the screen’s excellent visibility is more than worth the trade. The OldShark comes with a single suction mount, but this one is a beast! It is sturdy and adheres well to any surface. In the unlikely event that the camera should fall, its zinc alloy body is tough enough for it to survive without consequences. Video quality is among the best in this price range and distinguishes itself when driving on sunny days. Glare, even from direct sunlight, is minimal. Conversely, the camera has a bright LED which turns on to make footage recorded at night more easily discernible. Audio quality isn’t special, but it isn’t ear-grating either. Audio recording can also be turned off to save space which is something you might want to do if you’re using a low-capacity SD card as high-bitrate recordings eat up available space fast. Clips are 3, 5, or 10 minutes long and recording starts as soon as the engine is on. 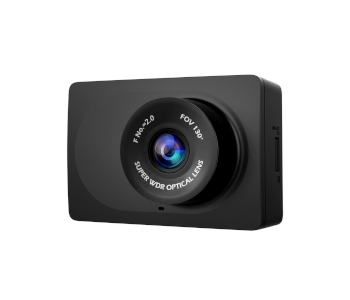 They’re easily viewable on the dash cam itself and transferring them to a PC is a snap too. 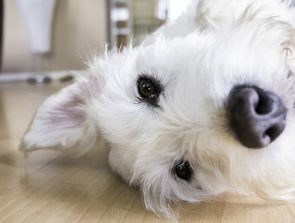 Getting to the clip collection on the camera, toggling the screen saver, setting up clip length, or taking a 12MP still can be done in seconds. Onboard controls are responsive and don’t feel sluggish even during winter. The OldShark will get very hot after it’s been recording for a while. A more concerning drawback however is its tendency to keep resetting the time & date settings back to its manufacturing date. There’s an internal battery which can tide it over during day to day use. If you use the vehicle you installed the camera in only from time to time though, the time and date will be reset. Since the oldest recordings get deleted first, crucial footage may be erased because of this. Nighttime driving puts dash cams to the ultimate test. A good model needs to be able to recover from swift lighting changes while putting out a picture that’s bright & clear enough for license plates to be identifiable. Luckily, even more affordable dash cams come with high-quality night vision, and Apeman’s C450 is a great example. Setting the C450 up takes around 10 minutes. It involves attaching the camera to your windshield via suction or adhesive mount and plugging its miniUSB adapter into the cigarette lighter. This model also comes with a battery that’s good for emergency situations and will keep the C450 running for 20 minutes. 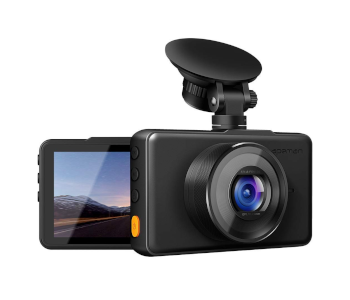 Its 3-inch LCD screen is on the larger end for dash cams, but it can be set to turn off automatically so you don’t need to position it directly in front of the rearview mirror as it won’t pose a distraction. Footage is captured in 1080p at 30 fps. There’s little to no blur even at high speeds so vehicles which are moving towards you are easily identified. The camera’s built-in HDR lets the image adapt from glaring street lights to darker surroundings almost instantaneously. Audio quality is rarely a priority when designing less expensive dash cams, but recordings made with the C450 sound clear and conversations are easy to tell apart from background noise. The C450 is in tune with your car – it will automatically turn on when the engine starts and shut off when it stops running. Unless you set the dash cam to parking mode that is. When this mode is active, the camera will be in 24-hour standby. Once its motion sensors detect tampering, it will start recording the incident and lock the footage to stop it from being overwritten. This is a camera with cheap accessories. Specifically, the mount is flimsy and may break if handled too roughly, so care is needed during installation. The menu system could be better organized. Some settings, like the screen saving option which is placed under brightness, should be rearranged more logically. Setting up a dash cam is often annoying. First, there’s the matter of keeping it in place, and then you also have to deal with a jumble of USB cables that get in the way and look untidy. 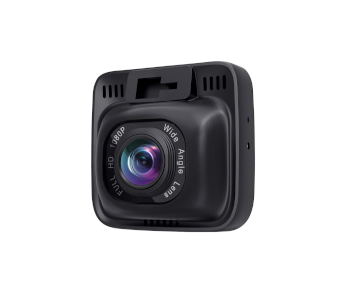 Apart from being an affordable dash cam with sharp 1080p video, Aukey’s DH-01 comes with a comprehensive mounting bundle which ensures that the camera is secure and doesn’t clutter up your dashboard. The DR-01 comes with two mounting options. You can either keep it in place permanently with an adhesive mount or use one with a suction cup instead if you tend to reposition it. Better yet, you get some adhesive tape strips to place on the camera’s USB cable to neatly secure it to the dashboard. The adapter can be removed from the cable and has two more USB ports so you’re free to charge a phone. The video quality is excellent regardless of the weather conditions thanks to a ½-inch Sony CMOS sensor. The camera’s FullHD resolution and 170-degree field of view provide a detailed overview of the road. Exposure values can be changed as well which helps minimize detail loss when shooting at night. Footage is saved to a microSD card at a bitrate of 13MB/s in adjustable loops which last from three to ten minutes. There’s also a time-lapse mode you can activate if the car needs to be monitored for a longer time period. The interface is simple and easy to navigate with four buttons located underneath the 2-inch LCD screen. 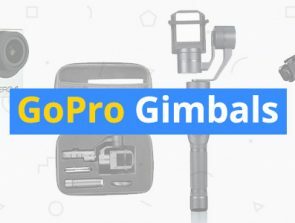 It lets you access previously recorded footage, adjust the sensitivity of the G-sensor, and enable motion-triggered recording as an additional precaution when the car is idle. The DR-01 also supports external GPS devices. While the camera’s video quality is decent, sound is another matter. Voices appear muffled and sometimes there’s a faint buzzing sound that decreases the quality even more. Some of the DR01’s accessories are cheaply made. The USB adapter has a loose fit while the screw on the suction mount needs to be tightened regularly to prevent shaking. Yi’s Compact dash camera is a barebones version of the excellent Ultimate model and is a great buy in its own right. While it lacks some of its pricier cousin’s advanced features and higher resolution, it’s a steal at less than $40! The handy app, excellent G-sensor, and easy navigation luckily remain the same and elevate this model above ones that cost half again as much. The Compact has a single adhesive tape mount it screws into, so you’ll have to spend a few minutes finding the best spot on the windshield to permanently stick it in place. Even if you aren’t satisfied with the initial angle, the camera can be tilted before you tighten the mount’s screws. There are no such dilemmas with power cable placement as the 11.5-foot cable won’t get in the way. Video quality is mixed to good, depending on the time of day and lighting. The Compact performs best during the daytime when it’s cloudy and there aren’t many lighting transitions. Sunshine can lead to glare, as can high contrast scenes like bright shop windows on an otherwise dark street. The 1080p footage its 130-degree lens captures is adequate as evidence should you ever need it, and that’s all that matters at this price point. The 2.7-inch screen and control scheme are similar to the Ultra’s. They allow you to toggle the clip length between 1 & 3 minutes and to downgrade the resolution to 720p, still at 30fps. You can also configure the G-sensor’s sensitivity, adjust the screen’s brightness & shut-off times, and view recorded clips. Yi’s Dash Cam app is supported as well. The dash cam’s case is made from very low-quality plastic which can melt if exposed to sweltering summer heat. You should avoid buying the Compact if you live in a region with high temperatures. Audio quality is sub-par and sound is choppy, so it’s best to leave audio recording off by default.